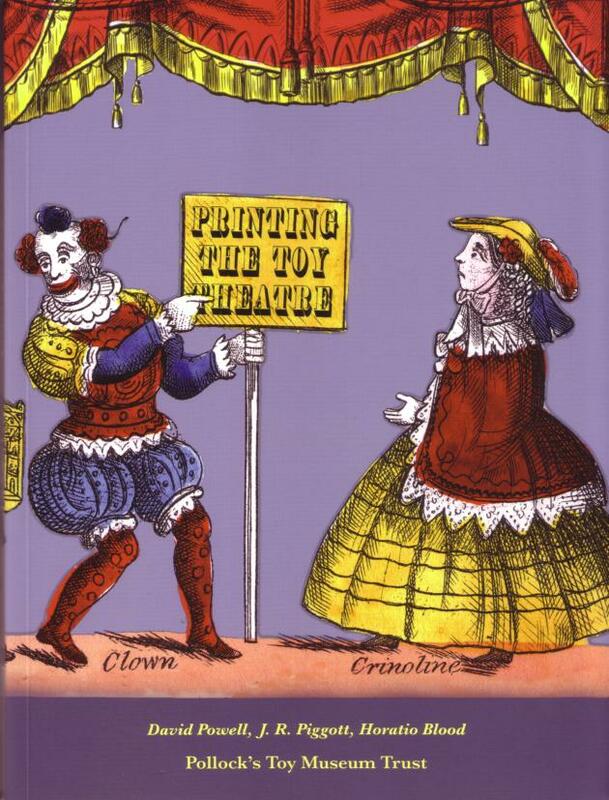 The latest in the series of high quality Toy Theatre publications following recent UK exhibitions was published last year. This book gives a unique insight and much original information that shatters previously held ideas about how the Toy Theatre publishers manufactered their plays. It also shows how the printing plates were made and transferred between uses, which in turn tells us much about the plays themselves. It even features a previously unknown publisher – Lazarus and opens up a new story about Jewish influences on this medium. There are also papers about hand colouring and tinselling. The book is illustrated with masses of fascinating and well reproduced images. All in all a highly recommended book that is good value for money. Copies are available from the Pollock’s Toy Museum Trust, at 99 Judd Street, London WC1H 9NE, www.pollocksmuseum.co.uk.